Some are born to the sea, while others are born to the mountains. The age-old question of whether one would find ultimate peace in the salt-air gusts of the coast or in the range of tall pine trees far from civilization is a question that most are quick to answer. For me, it’s the sea. At a young age, I found myself sailing a nineteen foot Flying Scot on Skaneateles Lake in upstate New York. I felt an immeasurable draw to rise before the sun, pack the cooler, and get to the lake quickly and early, so we could sit in the sharp sun for the length of the day. As a child, I would duck into the hull of the boat near the bow, draping myself over old ropes, feeling the slow sway of the water below me. This was where I was most at home. For a smaller sample of people, the sky is home. Be it a day of aerobatics in a vintage Pitts Special or simply cruising at six thousand feet with nothing in front or behind them, the sky is – like the sea, for me – an oasis. Such was the case for Jeff Clyman, founder of Cockpit USA. In the 1970’s, Mr. Clyman spent his days flying an old single-prop warbird and performed in air shows around the U.S. His draw to the open air was one of heritage, passed down to him from his father, a soldier in the Army Air Corps. 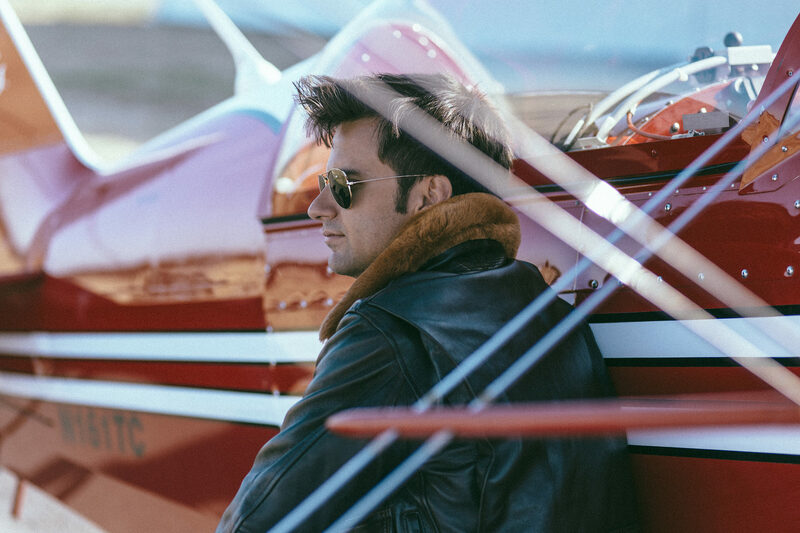 Clyman wore his father’s old leather aviation jacket to his shows and quickly found himself swarmed by crowds that were enamored with the cool air of the cowhide time capsule. Looking out on the horizon, Clyman realized he had an opportunity to blend his love with his work. Just two years later, in 1977, Cockpit USA was ready to take flight. As many of these stories go, Mr. Clyman started small. In those two short years, he transitioned from trading and selling original period jackets with other collectors to developing his own line of aeronautical replicas right in the heart of New York City. Over the following few years, the team at Cockpit grew along with the collection. 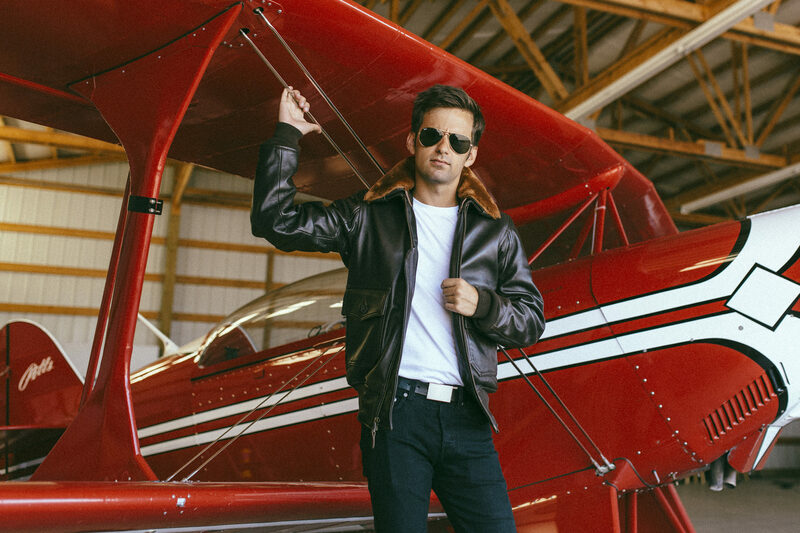 With additions like antique sheepskin jackets, varsity jackets, and flight gear, Cockpit USA morphed into all things badass from head to toe. Clyman and team spent endless hours of research and practice to reformulate textile processes that had been lost after WWII. The outcome of such effort was perfectly patinated pieces, bringing the collection back full circle to its visual influence – Clyman’s own hand-me-down jacket. 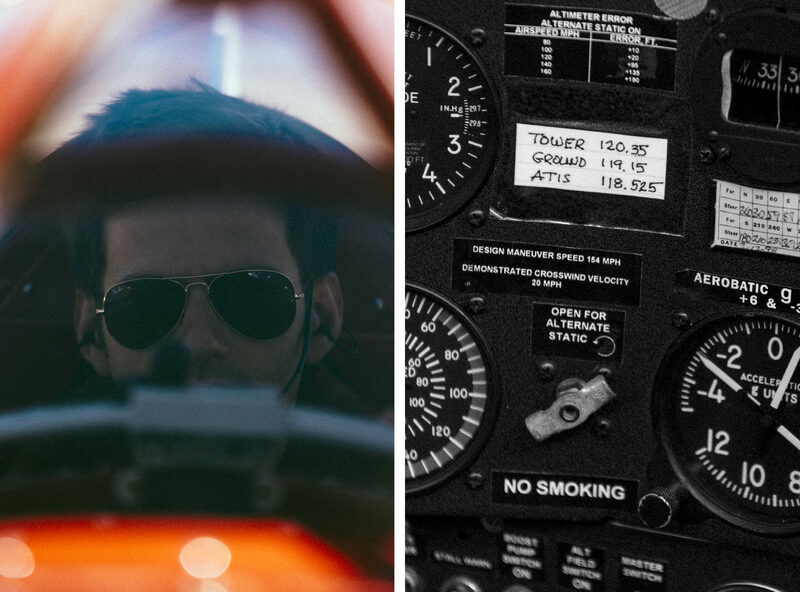 Today, Cockpit USA not only touts a collection of the finest crafted leather jackets made in America but also contracts with government agencies like the U.S. Air Force, U.S. Navy, U.S. Army, and even NASA. Contracts aside, Mr. Clyman and team have built a company that is just as special as it is important. Each piece is still made by hand in New York – carefully crafted, and altogether cool. With the additions of vintage replica patches and pin-up girl interiors, each style carries with it a unique swagger (think Top Gun). The weight of every jacket is significant, but the leather outer forms to you as quickly as that little league glove that you still have in your attic. A jacket like this becomes a go-to staple of every wardrobe. Pair it with a white tee and blue jeans. Or pair it with some tight black pants and combat boots. However you wear it, you’ll wear it well. 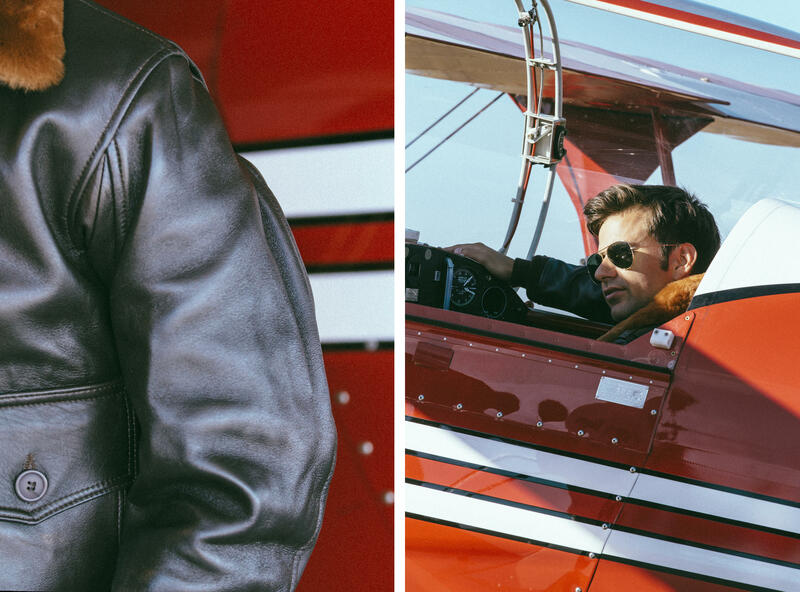 And whatever you do, keep the tradition – make your Cockpit USA jacket a part of your story. Then, just like the Clymans, pass it down. 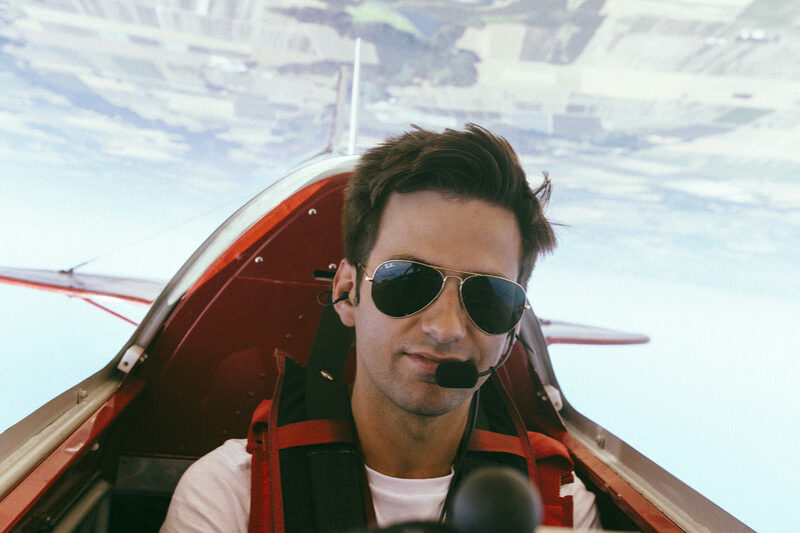 We spent a day with Matt Warden, private pilot and aerobatics competitor. Much like Mr. Clyman, Mr. Warden spends his days flying private jets around the country, and his weekends competing in his 1996 Pitts Special. Most recently, Mr. Warden placed second in the Intermediate Power class at the Beaver State Aerobatic Contest in Pendleton, OR.